A basic 1-inch filter will require replacement every one to three months depending on the state of your system, the size of your home and your sensitivity to allergens. However, our Healthy Climate Solutions filters are designed to trap allergens and improve air quality for up to a year. Healthy Climate filters are constructed with thick hypoallergenic and antimicrobial materials, offering the additional protection and filtration thinner filters can't provide. These air conditioner filters are ideal for allergies caused by pet hair, pollen and dust. 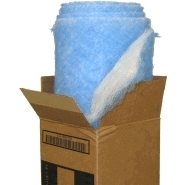 At Filter Shipping, we offer a variety of Healthy Climate Solutions filters, including filters for your furnace, air conditioner and air cleaner. 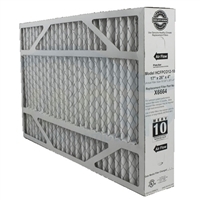 This selection of filters works with major brands such as Lennox, Honeywell, Air Bear, Aprilaire and more. Whether you're searching for AC or furnace filters for allergies or you're simply looking for a more long-term solution to air filtering, Filter Shipping is here to help. If you have any questions about our products, feel free to contact us! Exact Size: 16" x 19.75" x 4.375"
Nominal Size: 16" x 25" x 3"
Exact Size: 15.875" x 24.25" x 3"
Exact Size: 16" x 24.75" x 4.375"
Exact Size: 15.75" x 24.75" x 4.375"
Exact Size: 16.375" x 26" x 5.156"
Nominal Size: 17" x 26" x 4"
Exact Size: 16.625" x 26.75" x 4"
Exact Size: 20" x 19.75" x 4.375"
Exact Size: 20" x 24.75" x 4.375"
Exact Size: 19.75" x 24.25" x 5"
Exact Size: 19.75" x 24.75" x 4.375"
Nominal Size: 20" x 26" x 5"
Exact Size: 20.438" x 26" x 5.156"
Nominal Size: 21" x 26" x 4"
Exact Size: 21.25" x 26" x 4"